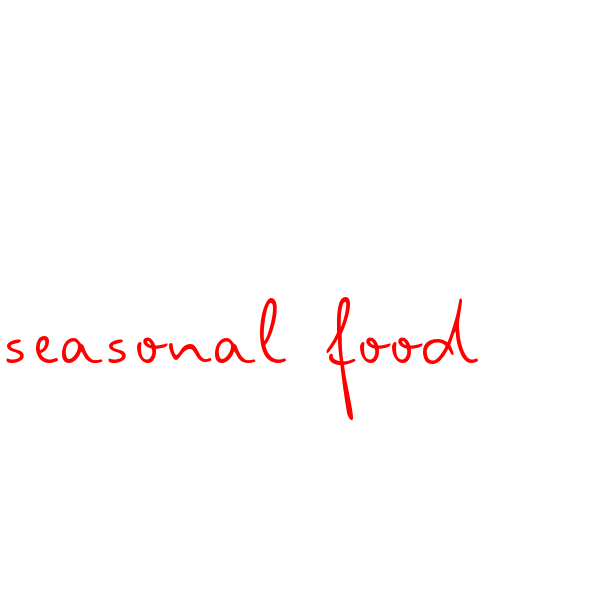 Eating with the seasons is a no-brainer. You get to try produce when it’s at its very best and hasn’t racked up loads of food miles. Nature has a great way of giving you seasonal ingredients, full of the nutrients you need at a particular time of year, so what should we be eating in February? 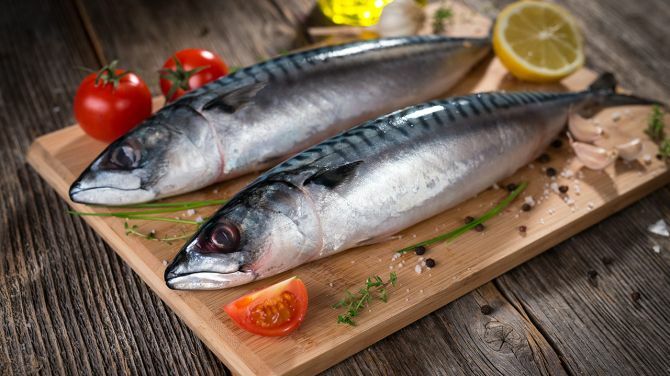 We’re always being told that oily fish is good for us, so taking advantage of mackerel season sounds like the perfect opportunity. It’s chock full of vitamin B12, which clever folks tell us helps the nervous system to function properly, can regulate cholesterol and improve brain health – yes please to all of the above. It can be difficult to know what to do with mackerel, so take inspiration from Slimming Eats. Her mackerel tray bake is loaded with butternut squash, spuds and tomatoes to tempt even the most suspicious about the oily fish. The colours will brighten up your day before you even tuck in. Curly kale is full of all those antioxidants that healthy people are always banging on about. 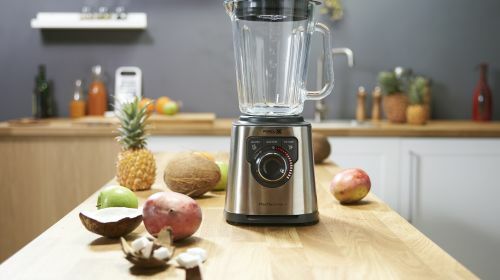 They stop free radicals in their tracks, which – to cut a long story short – is good for the body. As curly kale is a member of the cabbage family it can be a bit, well, cabbagey! To get all the benefits of kale it’s good to eat it raw and that makes a green smoothie a fab option. 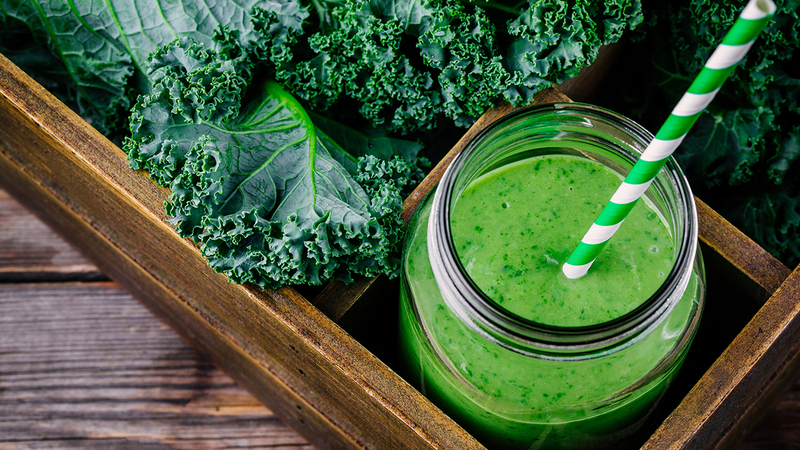 Swap out the spinach leaves for kale this February in Eats Amazing’s green swamp monster smoothie and you’ll get your five-a-day in one sitting. Try it on the kids and see if you can get them eating seasonally too. When is normal broccoli simply not enough? When it’s purple sprouting broccoli season. It’s a cruciferous vegetable, which is a fancy pants name for a group that is celebrated for having loads of great health properties. 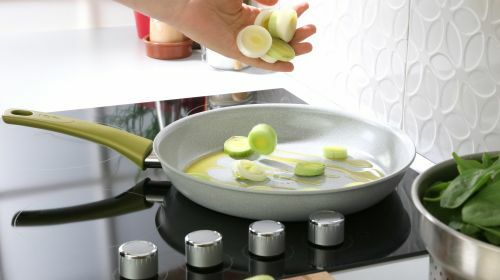 Keep as many of these in as possible by cooking your purple sprouting broccoli with the Veggie pan. 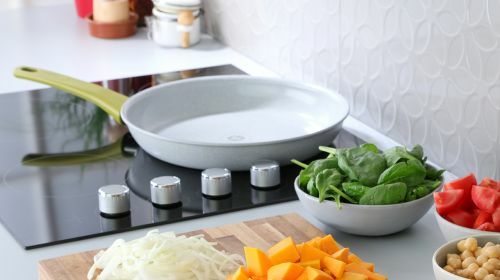 Its thermospot will tell you exactly when to take your veg out before it goes mushy and the nutrients disappear into thin air. 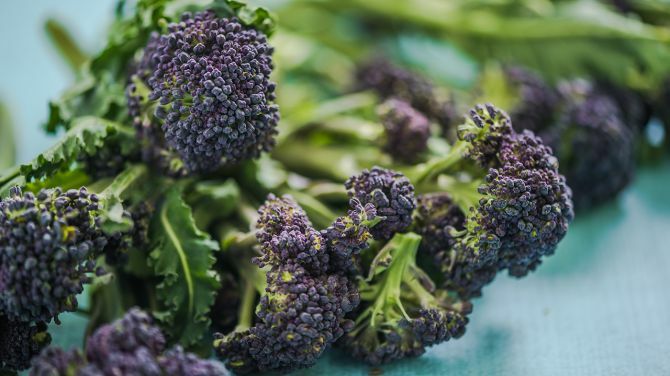 For a hearty February meal made with purple sprouting broccoli, look towards The Veg Space. This baked version of a risotto with farro instead of rice is really tasty and filling, as well as being vegan, making it perfect for meat-free Mondays. 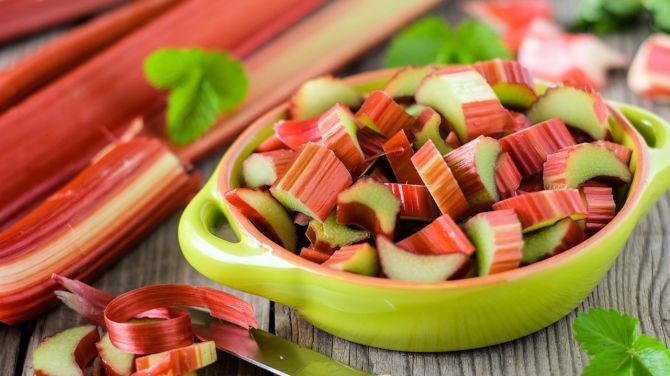 We love to indulge in something sweet here at Tefal and the arrival of vibrant pink rhubarb certainly cheers up the dull days at the beginning of the year. It famously grows in Yorkshire and is a good source of both calcium and fibre, so you can eat it safe in the knowledge that it’s a great British food that’s good for you and tastes delicious. Pimp your porridge with rhubarb and honeycomb like On The Plate, who has this dangerously decadent dish for breakfast. Save it for later in the day and you could enjoy it as a dessert or even as a mid-afternoon snack when you’re in need of a sugar rush. Porridge will never be boring again. Whizz up your cauliflower rice in seconds!